This Wednesday, May 3, a tribute concert will be performed at Carnegie Hall in honor of Grammy-winning songwriter, composer and singer Jimmy Webb. Art Garfunkel, Ashley Campbell, Toby Keith, Catherine Zeta-Jones, Marilyn McCoo and Dwight Yoakam are among the artists joining Jimmy onstage to benefit the Alzheimer’s Association and the I’ll Be Me Fund in honor of Jimmy’s friend of 50 years, Glen Campbell. We spoke to Jimmy about the event, his experience watching Glen’s battle with Alzheimer’s and thoughts on the importance of music in every person’s life. Congratulations on the tribute, Jimmy! Can you tell us what music you’ll be performing or what songs may be featured? I’m into this event up to my neck and I am happy as I can be! I can’t reveal too much, but I can tell you that the artist or artists most associated with each of my songs will be performing them – and there will be some surprises, too. I’ll be performing some duets, including “If These Walls Could Speak” with Graham Nash, and I will be playing piano with Art Garfunkel on “All I Do”, which was his No.1 record. Amy Grant, who I absolutely adore, will be joining me on “Adios.” There is a lot to look forward to. Proceeds from this tribute will benefit the Alzheimer’s Association. How do you think this event will help raise concern and awareness of Alzheimer’s disease? I am so proud that the Alzheimer’s Association and the I’ll Be Me Alzheimer’s Fund will be the benefactors of this event. I never have a moment’s hesitation in giving my personal testimony about what I have witnessed through Glen Campbell’s life and his family’s life since his diagnosis of Alzheimer’s. I never really understood the disease until Glen’s diagnosis; now I hardly think about anything else. Carnegie Hall is a great touchstone – an American monument, really – and to hold this event there is especially significant, showing that the music community is really active and truly cares about changing the course and effects of this disease. There will be a huge diversity of artists onstage – it won’t be “just country” or “just pop.” We’ve tried to embrace all kinds of people with this event in presenting the event to the public and making it possible for people of more modest means to attend. We want everyone to raise funds and enjoy this event. Congratulations on your new memoir “The Cake and the Rain.” As a member of the Songwriters Hall of Fame, the Nashville Songwriters Hall of Fame and as a Grammy winner, what mark do you think you’ve left on the music scene? I believe in traditional songwriting – a good core structure, a beautiful melody and lyrics that are accessible to people. I want my music to reach into their hearts and communicate emotions that they perhaps don’t find easy to express, and I hope that it can be a go-between for them to say what they really want to say to the people they love. I can only hope that it helps them when they can’t find the right words or the weight of what they want to communicate. Music has always been a benign companion of human beings – it’s Cupid. It helps us remember things we didn’t want to forget – we get married to music, we live our lives to music. I am proud that I have created some music in my life and to have left something behind that helps people express themselves in a world where it is sometimes so hard to communicate what we truly want to say. Why is it personally important for you to raise funds and awareness of Alzheimer’s disease and the people it affects? I do it for Glen and his family. I think Glen Campbell is the poster child for facing Alzheimer’s with courage. He fought against the disease and said “I’m not done yet!” – and that is a direct quote! Glen has always been an incredibly optimistic man and a fighter in life – funny and positive about most things. It wasn’t a surprise to see him react and fight back against the disease the way he has. Audiences who came out across the country to see him play his farewell tour came out in droves. I believe his experience became a consciousness-raising moment in history. Even though he was a celebrity, he allowed the public a very personal look into his life through the movie “Glen Campbell: I’ll Be Me”, documenting his fight and his decline and showing people what he and his family were experiencing. Glen’s family helped demystify Alzheimer’s disease – they took their fear and dissipated it. The family looked at the disease as something they knew they had to face and asked themselves: “What can we do to help? What would we want done for us if we were in that situation?” They were brave and truly inspirational in how they approached the disease in a practical way. As much as Glen and his family fought back, I personally feel a huge sense of loss. Alzheimer’s has inflicted a tragic loss of talent and energy and potential. The disease hit Glen at a point when he knew more than he would ever know and when he still had so much to contribute within the music community. Alzheimer’s snuck in the back door and took the records Glen would’ve made and all he still had to share with his family, friends and his audiences. To me, that was a personal tragedy that is still very difficult for me to deal with. 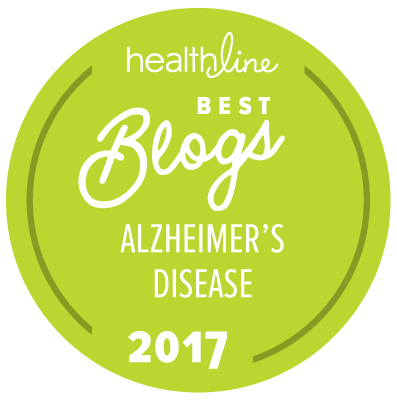 My difficulty, however, in no way compares to the distress – and just plain stress –that Alzheimer’s inflicts on the caregivers. Alzheimer’s is full of sorrow and exhaustion, and it has a ripple effect. The person with Alzheimer’s is surrounded by rings of people affected in different ways; sometimes they don’t even know they are being affected! Watching the disease progress in Glen made me put myself in his wife Kim’s shoes. For years now, my own wife Laura and I have asked ourselves and one another the heavy questions. “What would we do in similar circumstances? How would I take care of you? How would you take care of me?” When you are affected on a very close, personal basis, you view life in a different way. And your eyes are wide open. You’ve long been an inspiration to other songwriters and musicians, and you were a collaborator with Glen on some of his biggest hits, such as “Wichita Lineman.” His recently-announced final album “Adios” will include 12 tracks, featuring songs like “Just like Always.” What has your collaboration over the years meant to you? What emotions do you have in knowing that this will be his last album? I don’t compare my own loss with that of Glen’s family; it doesn’t compare on any level. But I do feel like a second-tier casualty of Alzheimer’s disease. It has taken the most accomplished, beautiful, golden voice that was perfectly matched to my songs. It has taken the No. 1 promoter of my music, who also happens to be my best friend of 50 years. Our children grew up together, and it wouldn’t be much of a reach to say that the Campbells and the Webbs are like family. I can’t put into words the loss I feel over Glen’s journey with this disease. But I can say this: the world needs beauty. The world needs its painters, its singers and its artists. There is something so ugly about this particular man being taken from us in this fashion. It is hard for me to deal with and sometimes I just don’t. Sometimes I am like an oyster covering the sources of my irritation in pearlescent mother-of-pearl; but trying so hard not to think about it is almost like thinking about it. Once you are touched by Alzheimer’s, your life will never be the same. It seems like a waste of so much energy and talent…and so much LOVE. It’s hard to find any good thing about it, but you try. Glen found a way to be a living, breathing, fighting example of Alzheimer’s for millions of people. In publicly fighting back, he turned the bad into something good. I can only try to walk in his footprints. He has been so dear to me and my family, and whether you knew it or not, he was probably dear to you, too. He was going to make so much more music that you would’ve loved. If we work hard enough and raise enough money, we can turn this thing around. We can end this disease for good. For love, for music – and for those we consider family. About Jimmy Webb: Jimmy is a songwriter, composer and singer known worldwide as a master of his trade. Since his first platinum hit “The Worst That Could Happen,” Webb has had numerous hits including “Up, Up and Away,” “By the Time I Get to Phoenix,” “Wichita Lineman,” “Galveston,” “All I Know” and “MacArthur Park,” and has also become a leader and mentor in the industry as a champion for songwriters. Webb is the only artist ever to have received Grammy Awards for music, lyrics and orchestration. He was also the youngest person ever to be inducted into the Songwriters Hall of Fame and serve as its Chairman. Webb is married to Laura Savini, a producer and host for PBS. He has five sons, one daughter and recently became a grandfather. Thanks to all for hosting this wonderful fundraiser for the Alzheimer's Association and tribute to Glen Campbell! I have been a fan of Glen Campbell since the 1960's and through his music came to know of Jimmy Webb . Having followed their respective careers from this time I like most people was shocked and saddened to hear of Glens illness. THis tribute for Glen by Jimmy demonstrates the true friendship of these two incredibly talented men and is a testament to what true relationships mean. It has been a real pleasure following their respective careers and a heart warming experience to learn of the depth of genuine friendship. I have learned a lot from afar. Thank you Glen. Thank you Jimmy. "I can’t put into words the loss I feel over Glen’s journey with this disease. But I can say this: the world needs beauty. The world needs its painters, its singers and its artists. There is something so ugly about this particular man being taken from us in this fashion. It is hard for me to deal with and sometimes I just don’t. Sometimes I am like an oyster covering the sources of my irritation in pearlescent mother-of-pearl; but trying so hard not to think about it is almost like thinking about it." It shouldn't surprise me that Jimmy Webb can express himself so well, but this is such a moving paragraph. Mr. Webb, I thank you from the bottom of my heart for what you are doing to honor Glen Campbell, my first crush! I am a huge fan of his and of your music!! I lost my sweet Mom to this monster of a disease. We must defeat it! Thank you for the gift of your talent, and your generosity to ALZ.org. Any chance the concert will be available on bluray for sale?